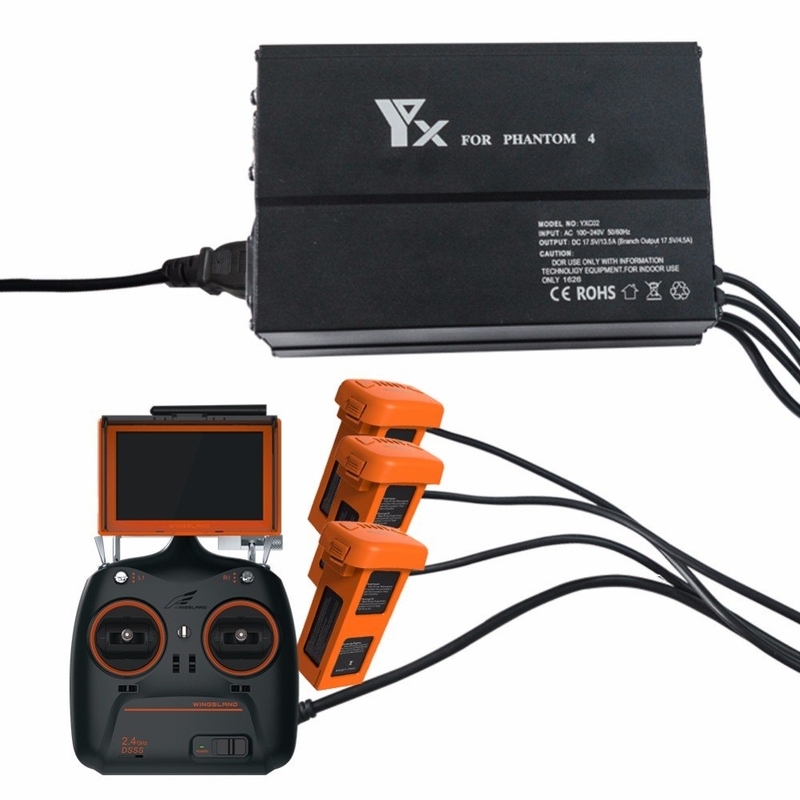 This battery charging hub is designed for DJI Phantom 4, which can charge 3pcs batteries and a controller at a time. Aluminium alloy shell is durable and safe to use. 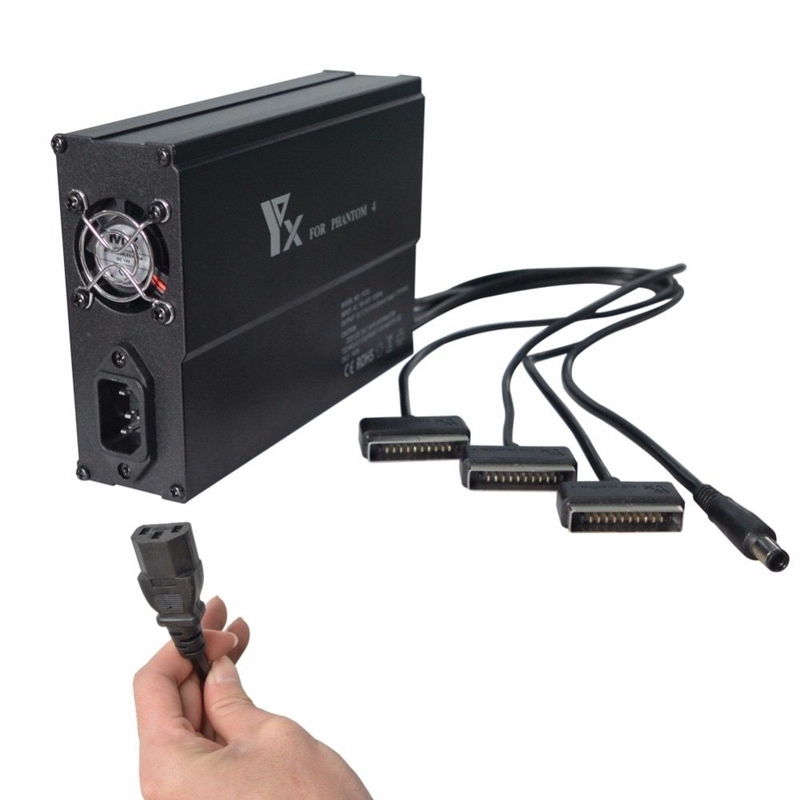 4.5A high current can save your charging time greatly. 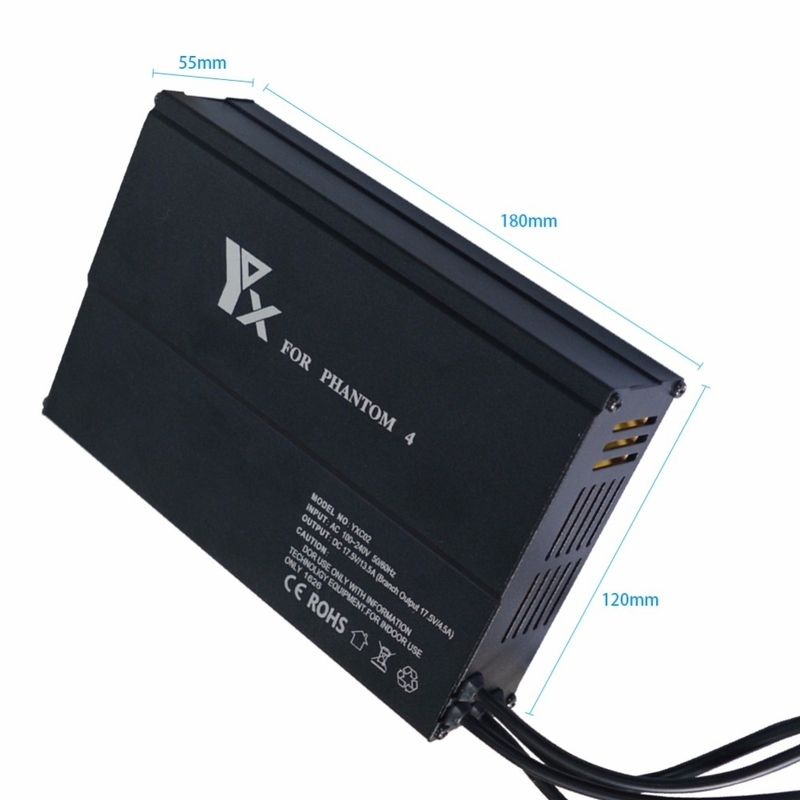 Suitable for DJI Phantom 4. Aluminium alloy plug and shell can bear below 2000V voltage, which is safer and stabler. 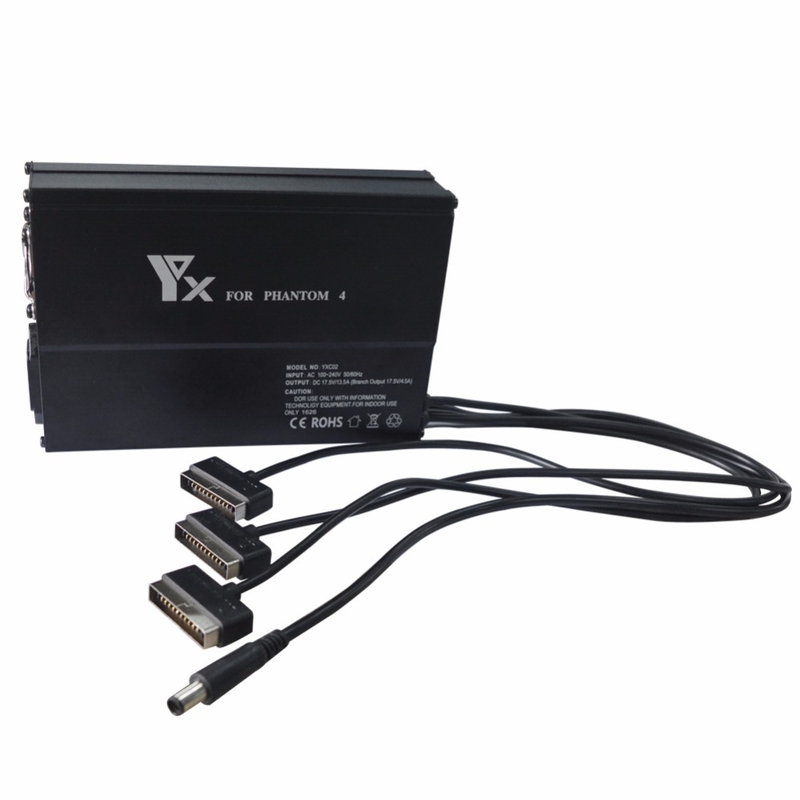 4.5A output current can charge 1 or 3 batteries with 1 controller simultaneously for only 60-80 minutes, which is faster. Charging indicator allows you to know the charging state with just a glance. 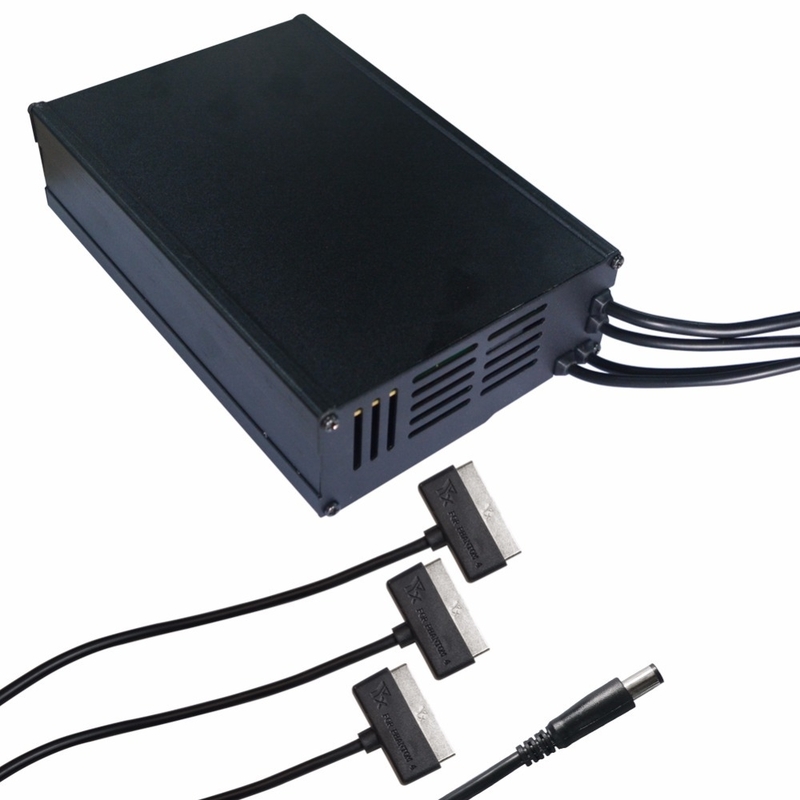 Smart chip has protection of overcharge, overcurrent, overvoltage, overheat, overload and short circuit to prevent battery from damaged. Plating plug is durable, stable and harmless to battery. Portable size is convenient to carry. 1. 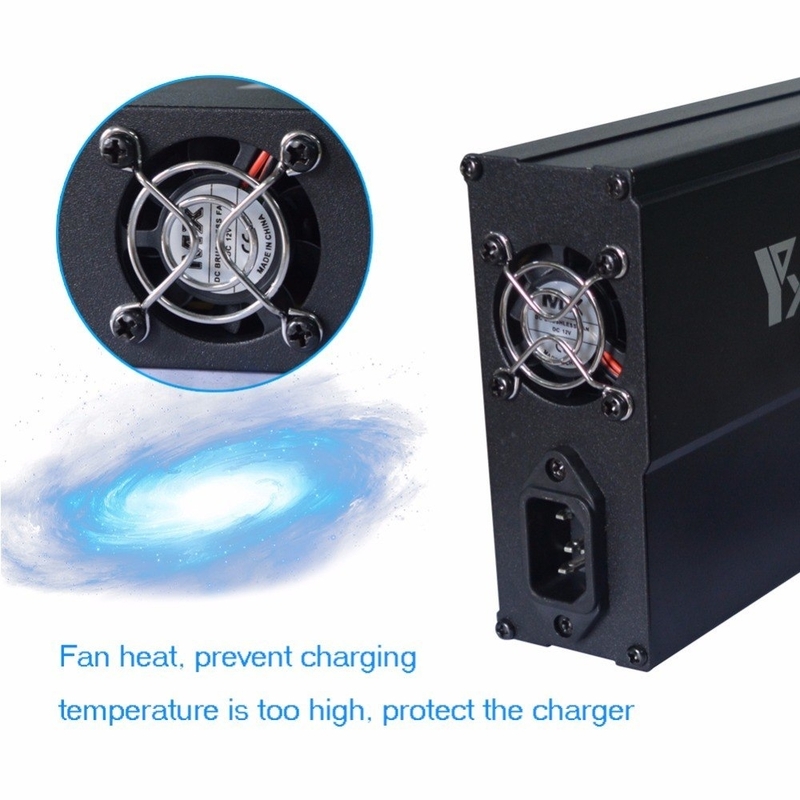 It will stop charging automatically if the battery is overheat. 2. 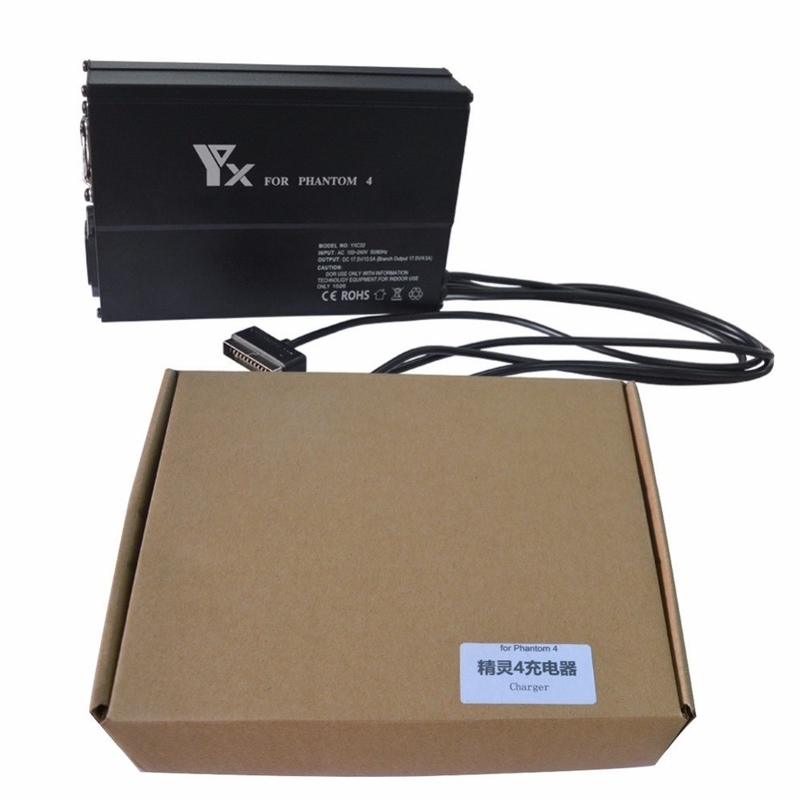 Dear customer, please rest assured to buy without worrying about the plug adaption. 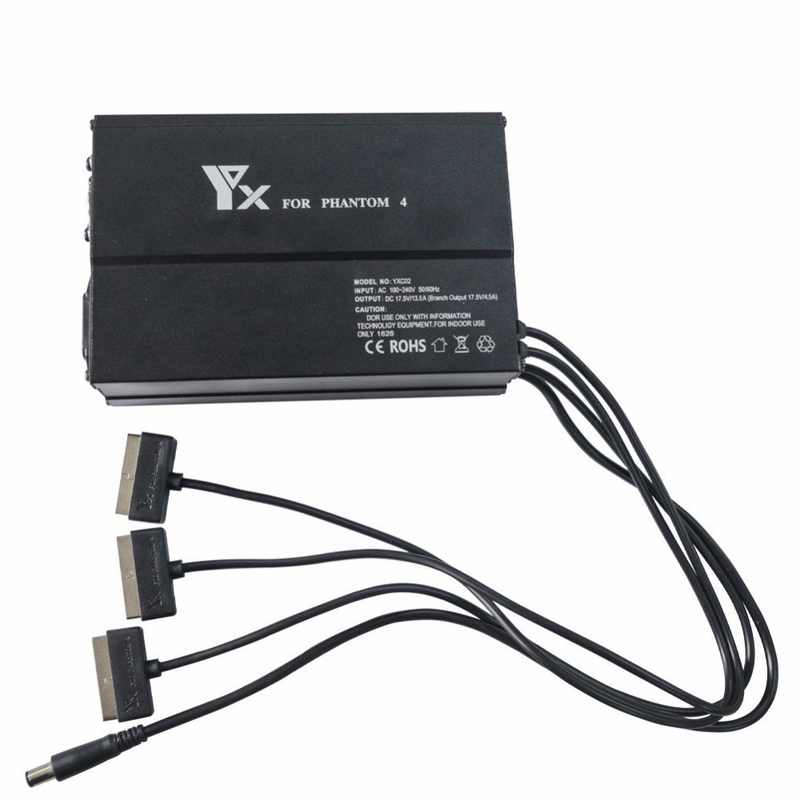 We will provide an adapter for you according to different country standard to ensure its normal use.